Papers relating to the foreign relations of the United States, transmitted to Congress, with the Annual Message of the President, December 4, 1876. Annual Message to Congress with Documents; Pres. Grant. 5 Dec. HED 1, 44-2, v1-5, 7574p. [1741-1751] Hostilities in the Black Hills caused by the avarice of the white man in his search for gold; cession of the Black Hills; annual report of the Sec. of War (Serials 1742-1747); annual report of the Sec. 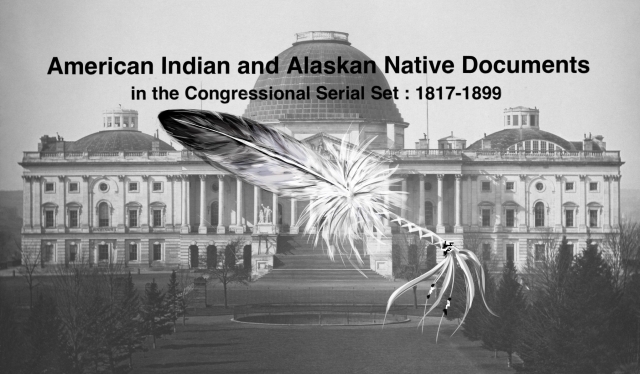 of Interior (Serials 1749-1750); annual report of the Gen. Land Office (Serial 1749); annual report of the CIA (Serial 1 749), including allotments of reservations, Indian Territory, the Sioux Commission of 1876, the Sioux war, the Nez Perce Commission, and reports of Supts., agents, schools, and farms; etc.